The first thing that comes to mind when I think Baja, is Cabo San Lucas, the quintessential spring break party town. Sure, it’s possible to experience the family-friendly side of Cabo, but what’s beyond the all-inclusive resorts? La Paz, Mexico is what’s beyond those resorts. 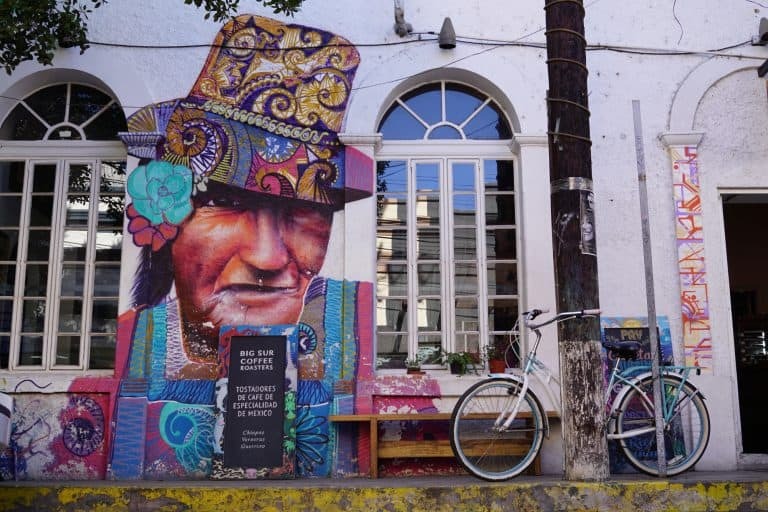 Take a trip to laid back La Paz, Mexico. La Paz is a short 1 hour 30 minute drive to the north of the Cabo airport. Paz means peace in Spanish and La Paz lives up to its name. La Paz is a place set apart. The capital of Baja California Sur, La Paz maintains a small town feel. It is the antithesis to Cabo’s all-inclusive resort party vibe, replaced by the quiet natural beauty of the sea and the welcome of the warm-hearted locals. 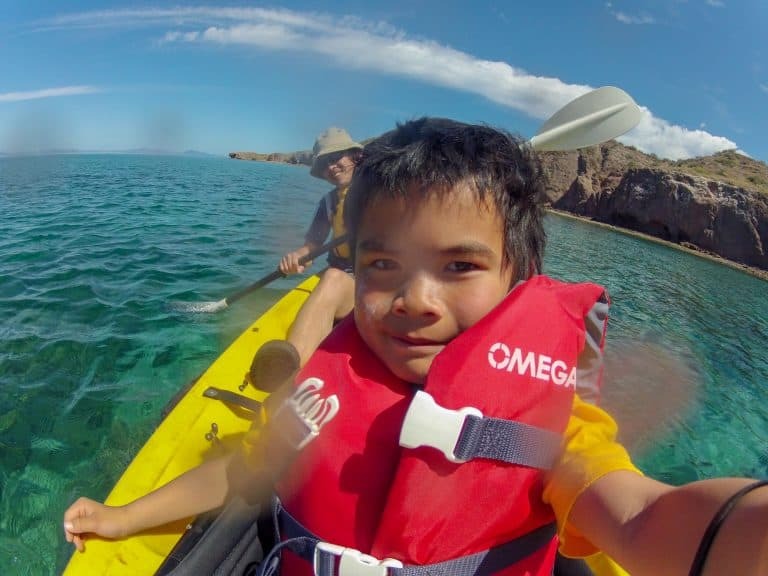 Don’t worry, there are plenty of things to do with kids in La Paz, Mexico. 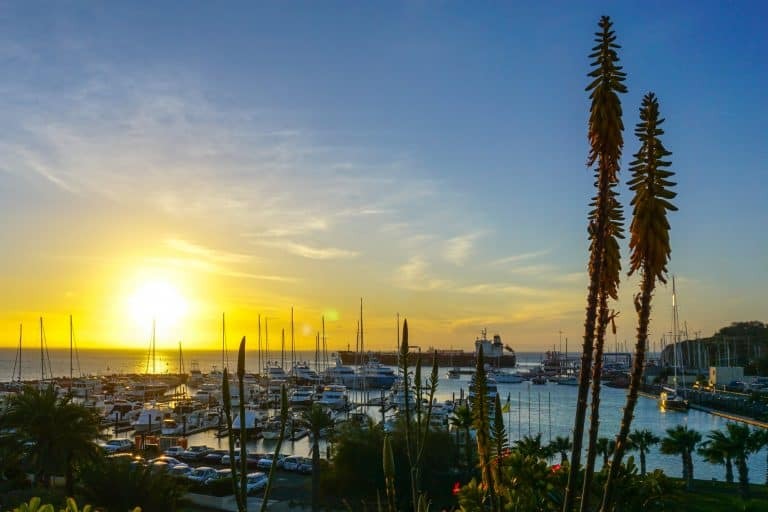 As you walk along the malecon (boardwalk) of La Paz having just enjoyed a plate of fresh fish tacos, the warm air blows over the Sea of Cortez and you feel a world away. This is Baja at it’s best. 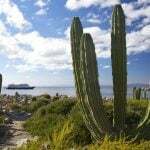 The primary attraction of La Paz, Mexico, is the sea life found in the Sea of Cortez and around the Baja peninsula. More than 20,000 unique marine species can be found here. They include whale sharks, grey whales, humpback whales, thousands of fish species, flying mantas, sea turtles, soaring seabirds, playful sea lions, spiky pufferfish, and sea urchins the size of small watermelons. Just a short boat ride away from La Paz, the largest fish in the world, the whale shark, makes it’s home. Whale sharks can weigh up to 30 metric tons, or 66,000 pounds. Despite having shark in its name, this gentle giant eats only plankton and krill. Swimming with these slow-moving giants is an experience not to be forgotten. Be sure to give them a wide berth and get out of the way when they head towards you. 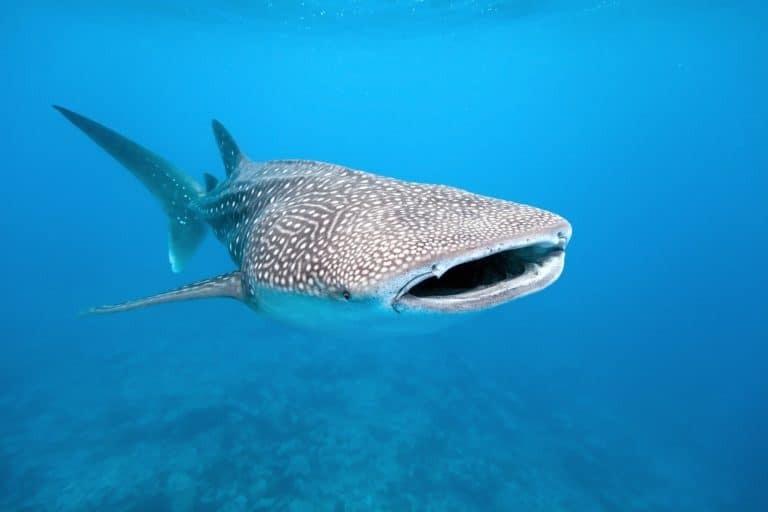 The gargantuan whale shark can barely see forward, having eyes affixed only to the side of their heads. You can book a trip via any one of the many tour companies found on the La Paz Tourism website. Whale shark season is October to March. Keep in mind with all water-related activities that the local government may shut down activities for safety reasons when the wind is too high. If you are set on seeing certain ocean creatures, you may need to set aside a couple of days if the weather is poor. If you’re seeking a close up encounter with grey whales, book a tour and make the 3 hour drive to the Bay of Magdalena and López Mateos. Whales give birth in the warm water of this protected bay. Grey whales migrate more than 5,000 miles from Alaska and Canada to this bay surrounded by mangroves. The local fisherman will guide you in a small fishing panga in search of majestic barnacle encrusted grey whales. Depending on the season and the weather (Grey whale season is January to March), you may be able to get close to them while still keeping a respectful distance. After witnessing the spectacle of giant breaching grey whales, we spied a variety of sea birds, as well as a pod of playful dolphins. Check out Maar Experiences, founded by husband and wife team Armando and Mariel. They provide transportation, a traditional breakfast, and a seafood lunch after two hours of whale watching. 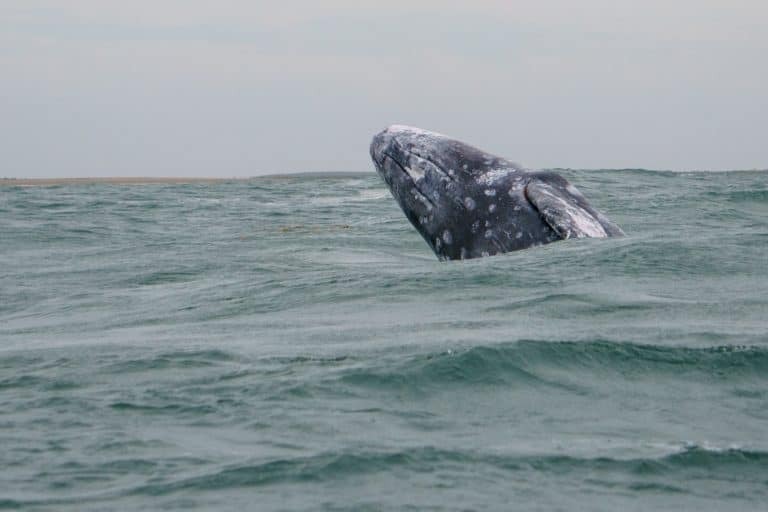 Read our full article on getting up close and personal with the gray whales of Bahia Magdalena. Espiritu Santo Island, just north of La Paz, is designated a Natural Protected Area and a UNESCO World Heritage Site. In this unique area of biodiversity, you can snorkel and dive amidst playful sea lions, fish, coral, sea turtles, flying mantas, dolphins, and sea birds. Keep a special watch out for the juvenile sea lions and their nearby parents. My son was nuzzled in the face by a particularly playful young sea lion. 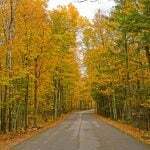 Other activities include hiking the interpretive trails, kayaking, and beach camping under the stars. A variety of La Paz tour operators offer trips to this location. 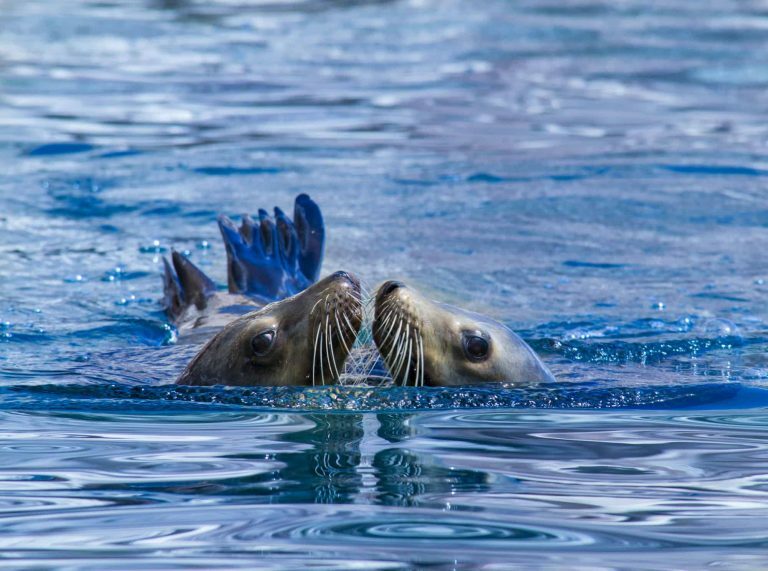 Read our full article on swimming with the sea lions at Espiritu Santo Island. The white sand crescent arc of La Balandra beach is called by some the most beautiful beach in Mexico. It is relatively uncrowded and throughout much of the cove, the shimmering turquoise water is only inches deep with a sandy bottom. The end of the arc is capped by the famous “Hongo de Balandra” or mushroom rock. There are several other wonderful beaches as well, including El Tecolote. It has a lively scene of restaurants, bars, wave runners, and paddleboats for rent. Playa Caimancito is great for swimming, paddleboarding, and kayaking. El Tesoro is a good beach for kids, with its shallow waters and palapa-thatched umbrellas. Stand-up paddleboarding can be enjoyed in many locations, including along the malecon boardwalk or amidst the mangroves of Balandra. The area of La Ventana, about 40 minutes from La Paz, is a well-known kite surfing and windsurfing beach with a natural air tunnel. November to March is the peak season, though constant winds blow throughout the year. El Mogote, located 20 minutes to the north is a sand dune haven perfect for sandboarding. It’s like snowboarding in the desert. 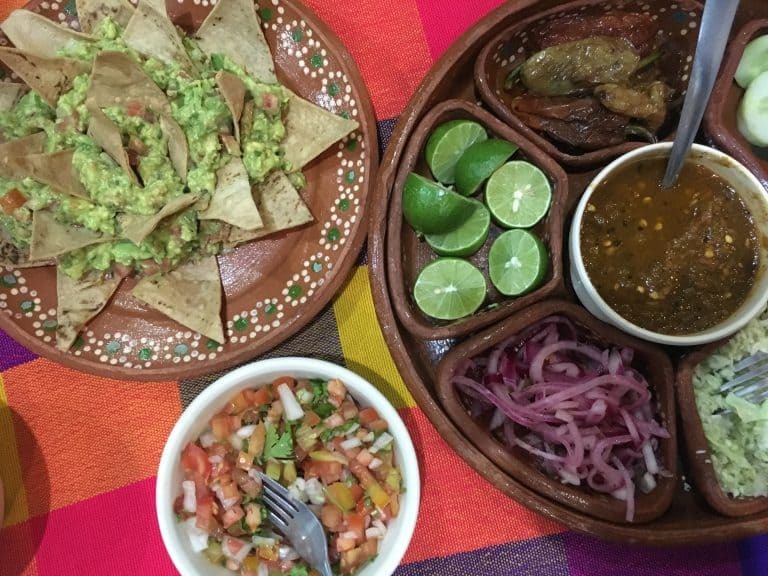 For traditional Mexican fish tacos, arrachera (marinated skirt steak), and other traditional fare check out Rancho Viejo. Try the restaurant on the Malecon or the original 24/7 location a block away from the sea. For a casual fine dining experience with an international flair, the Nim Restaurant serves up fresh seafood (often caught by chef Cristina that morning), steaks, and farm fresh salads in a restored old building with indoor and outdoor seating. La Paz eschews the all-inclusive resorts found elsewhere in Mexico, but it doesn’t lack for nice places to stay and has a wide range of options. Check out the Costa Baja resort, just a short shuttle ride north of town. Rooms at Costa Baja have beautiful views of the sea and the mountains. If you opt for a family style suite, you’ll be rewarded with a giant balcony and might just catch a glimpse of Steven Spielberg sailing his yacht out of the harbor! The resort has its own beautiful beach. A sign warns to watch out for the stingrays, though I didn’t see any during my time there. I did encounter some giant sea urchins which I avoided with fervor. A few restaurants are found on site, including Steinbeck’s, with walls featuring a 423 bottle private Tequila collection. Striving to be eco-friendly, the resort uses a desalinization plant for its water and recycles grey water for use in its landscaping and golf course. If you want to stay closer to downtown along the Malecon, the modern Hotel Catedral is a good option just 3 blocks from the sea. The rooftop pool is a big hit, as are the excellent breakfast options. 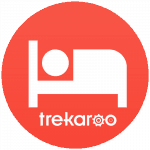 Check for amazing deals on family-friendly hotels in La Paz, Mexico. About an hour to the south, Todos Santos has an even more laid back vibe than La Paz. A small pueblo nestled in the hills above the Pacific, Todos Santos is a coastal oasis. 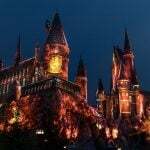 It is designated by the Mexican government as one the “magic towns” full of historic and cultural wealth. Grab a surfboard and hit the world-class breaks at Playa Cerritos, or wander around the old town cobblestone streets. Stop to watch an artisan weave a blanket. Duck into a local ice cream shop for a scoop of tuna (not fish, but cactus fruit) ice cream or a myriad of other unique local flavors. Stop at a wine bar for a taste of the burgeoning Mexican wine scene from the Valley of Guadalupe. I was particularly enthralled with a brief stop at the Hotel California, which may or may not be the one from the Eagles song. It certainly felt so. If you’re looking for an intimate place to stay for the night, give the Todos Santos Inn a try, it’s an old restored hacienda that was once owned by a sugar baron. 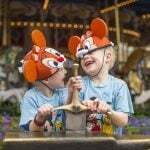 For families with kids over 11, check out the immensely fun Locomotion. It is a 14-person, electrically-assisted bike which you can pedal around town while listening to the tour guide and festive music. 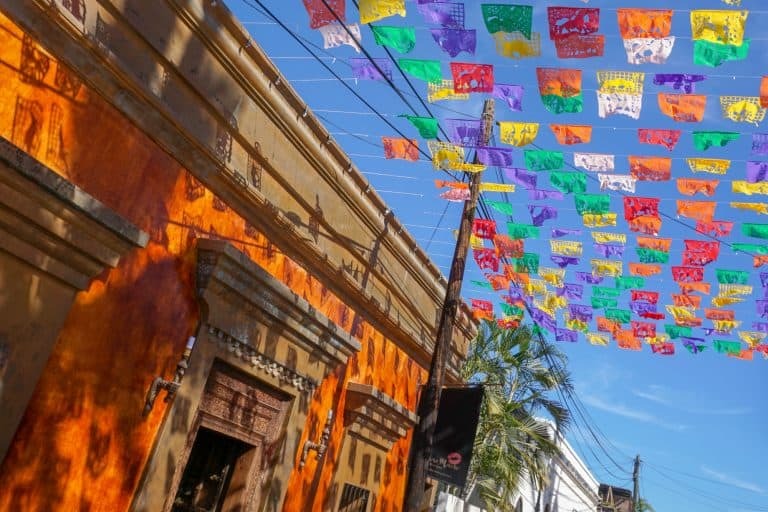 You’ll stop at an artisan shop for a wine tasting; learn to make tortillas, guacamole, and pico de gallo salsa (also known as lazy salsa since it’s easy to make); and make your own mojito to enjoy while overlooking the palm tree sprinkled town. 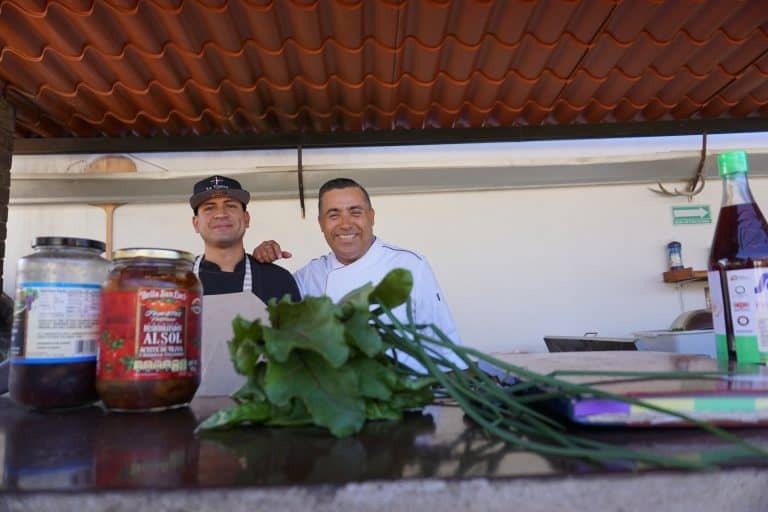 For a tremendous gastronomic experience, head over to La Casita tapas and wine bar where the larger than life personality of Chef Sergio Rivera matches the dishes he serves up with Mexican and international flair. Sergio grew up with a Mom and Grandma who are amazing “cook from scratch” cooks. He has honed his skills and influences traveling the world cooking for the past 20 years throughout Central and South America, the Caribbean, New York, Alaska, Tokyo, and throughout Europe. He owns two restaurants, one in La Paz and one in Todos Santos. 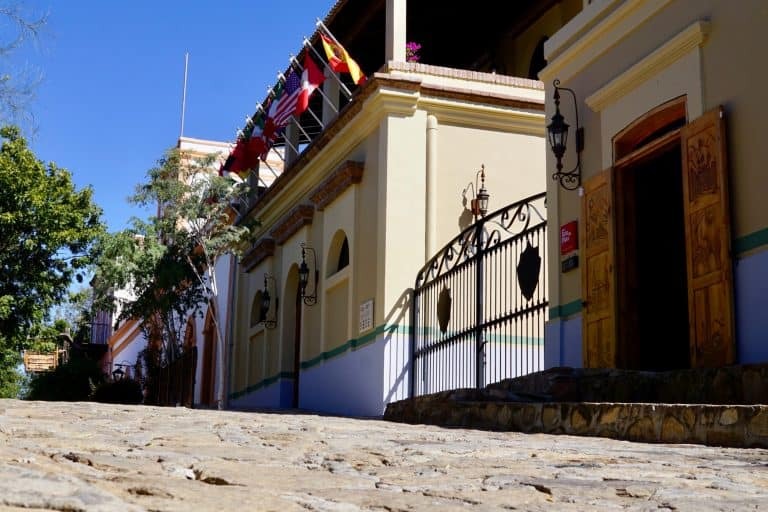 Head over to the old gold and silver mining town of El Triunfo for a day trip. El Triunfo is 45 minutes from La Paz. The mines flourished during the late 1800’s through the early 1920’s, the town swelled to 10,000 and then eventually declined into nearly a ghost town. Start off with a visit to the small but well done Silver Route Museum to learn about the history of the cape region of Mexico’s Baja California peninsula. You can then take a short hike up the hill to see the La Romana smokestack built in 1890, which was once used to smelt the silver and gold ore. Head past the smokestack up the hill and past the English miner cemetery, to the mirador which provides a panoramic overlook of the town and surrounding mountains. Bar El Minero serves up delicious homemade artisanal sausages, regional cheeses, fresh Baja seafood, and locally sourced greens alongside craft beers. If you happen to visit on a Sunday, it’s paella fest day. 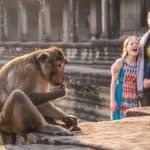 If you’re looking for some world-schooling or educational experiences focused around conservation and local culture for your kids, you can check out local tour operators such as Red Travel Mexico and Todos Santos Eco Adventures. 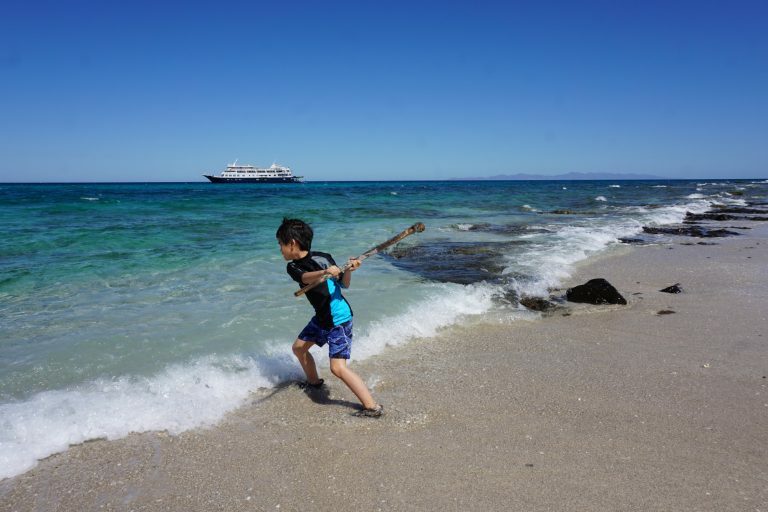 If you’re looking for an all-inclusive small ship expedition cruise experience, take a look at our UnCruise trips to the Sea of Cortez. Experience La Paz, Mexico and return refreshed. If you’re seeking a relaxing vacation away from the hubbub, La Paz dishes up a healthy dose of that Baja peace. Disclosure: We were hosted by the La Paz Tourism Board to facilitate this article. However, as always my opinions are always entirely my own.